April Vacation week is filled with cool and interesting activities at the Harvard Museums in collaboration with the Cambridge Science Festival. Free, fun, family activities allow visitors to explore arts from the ancient Near East. Activities change daily: make Egyptian accessories, inscribe clay tablets, or decode hieroglyphics. Drop in for five minutes — or 30 — to see what is new every day. 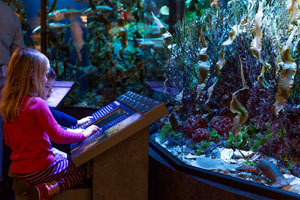 Graduate students from the departments of Organismic and Evolutionary Biology, Human Evolutionary Biology, Molecular and Cellular Biology, and Earth and Planetary Sciences at Harvard University will share their research through hands-on activities in the museum galleries. This program is designed to actively engage families in learning more about science and exciting new discoveries in our natural world.